Such an amazing place to get pampered! I got waxing and a pedicure and it was the best! They treat you amazingly. It’s a very clean and welcoming spa. Will definitely be back again and again. 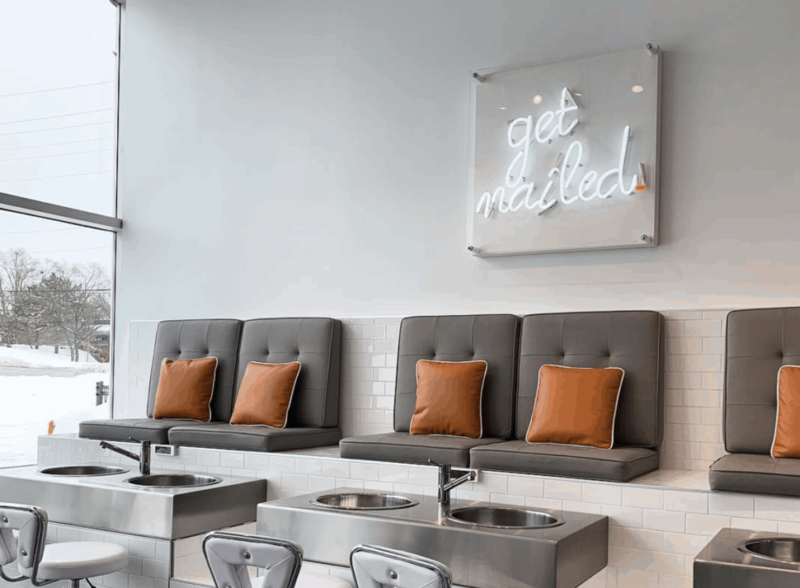 The best spot to take your girls for a day of pampering. Service was amazing and the atmosphere is great. So lucky to have the Ten Spot in the west-end. The staff was wonderful and Stacey did a great job. It was my first Brazilly and I was nervous. Stacey took the time to explain everything and put me at ease. She was efficient and quick. I am recommending the Ten Spot to everyone I know!! Love this new location! Karen did an amazing job on my gel mani and brow tint. Despite only having been opened 3 weeks ago, this place seems to be running smoothly and the staff is very friendly and accommodating. Best manicure in the city! I LOVE the TEN Spot. It has such a great ambiance, is very clean and has a great new location (hello parking!). The staff is amazing and soo talented, I always feel so welcomed every time I get my services done! If you haven’t already, you really need to check this place out! I highly recommend it! They really do know how to make you feel like a TEN! The Ten Spot staff are great! I went for a laser hair removal procedure for the first time and didn't know what to expect. The staff explained each process as they went so I knew what was coming next. The procedure was painless and the results were awesome. I will be back again for sure! Such a lovely bright and cheerful location - I am happy to welcome them to Kanata! Friendly and helpful staff, too!My first visit was such a pleasure - I don't often have the chance of being pampered but I took the opportunity to visit and receive a quickie manicure - it was difficult to choose a colour, but was pleased with my choice. Vanessa did a lovely job trimming and polishing my nails - she took her time and made me feel comfortable. I will definitely visit again!